What’s the point of having modern technology if we can’t use it in a way that best suits us? Back when I was studying hypnotherapy, I found that many of my fellow students were based all over Melbourne. In one case, even further, out in a regional Melbourne country town called Kyabram (a big hello to Nancy – if you’re out that way, go and see her!). As you can imagine, given the diverse range of approaches and techniques that come with earning a qualification to become a Clinical Hypnotherapist, it was an absolute priority that we all became familiar and comfortable with what we had learned. The vast majority of us worked full time. After a long day at work, the thought of getting into a car and traveling an hour or more to get somewhere and then practice for a few hours just felt impossible. The answer was obvious; we would utilise being online. Provided that we were able to communicate clearly and, as a hypnotherapist, have a clear view of the person we were working with, then we found that these online Skype sessions were extremely beneficial. While it limited us in some of the approaches that we may choose to use, we were still capable of working with each other in a way that was meaningful and beneficial. The preference is always going to be to be able to work one on one in a clinic room environment. Some hypnotherapy techniques may require touch and that would be impossible via Skype. Additionally, hypnotherapists are often looking for very subtle and slight signals from their clients and in some situations online, that may prove to be difficult too. It would be a priority that the client has a quiet place to do the session in where they’re going to be uninterrupted. For stay at home parents or pet owners, this can often be a bit of a challenge in itself. Lastly, the quality of the session is going to be reliant on how good the internet connection is. While the NBN is being rolled out across Australia and should improve the connection signals, both some inner city locations, who will be the last to get the NBN, as well as some regional areas who have yet to receive the NBN, may experience some difficulties. As part of the initial discussion, should the client request an online session, the hypnotherapist will be able to determine if this is something that can be conducted via Skype or if the session needs to be in person. It may also be that the initial consultation may be done via Skype and follow up session(s) conducted in person. An additional option might be our new service where we record a personalised hypnotherapy audio for you. This can be done via an initial Skype information gathering session and then the recording can be emailed to you shortly afterwards. All that aside, many hypnotherapists will tell you that they’ve had some really positive experiences with working over Skype and it has allowed them to offer a service to people who may have found traveling into their clinic room difficult. 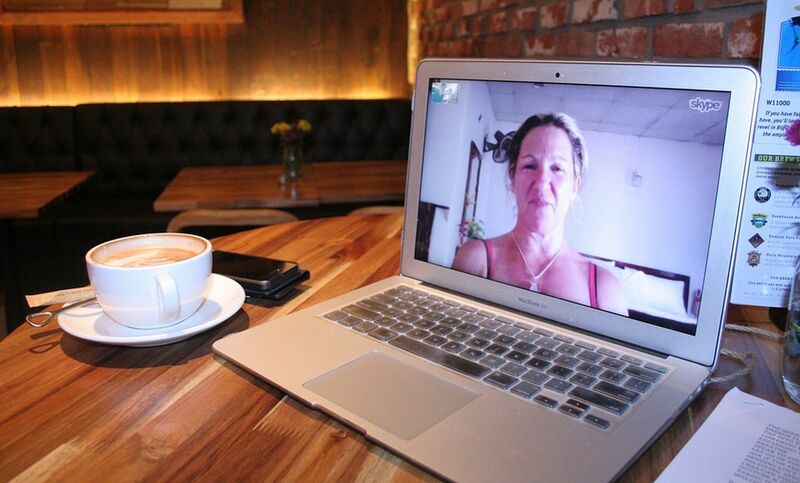 What does the Australian Hypnotherapists Association say on Skype sessions? The Australian Hypnotherapists Association is Australia’s largest association representing professional hypnotherapists. In 2013, they created a set of guidelines for therapists working with Skype in order to help ensure that a level of quality was maintained as well as protecting the rights of both the client and the therapists. These guidelines provide a comprehensive checklist around what needs to happen pre-session, during the session and post-session to ensure that the client receives the same quality of a session that they would in person. Book Your FREE Half CHour Consultation Over Skype NOW! What Do Dogs In a Park Teach Us About Our Emotions?